I do not have many 'outdoor' dog photographs in my collection and this one is particularly special. 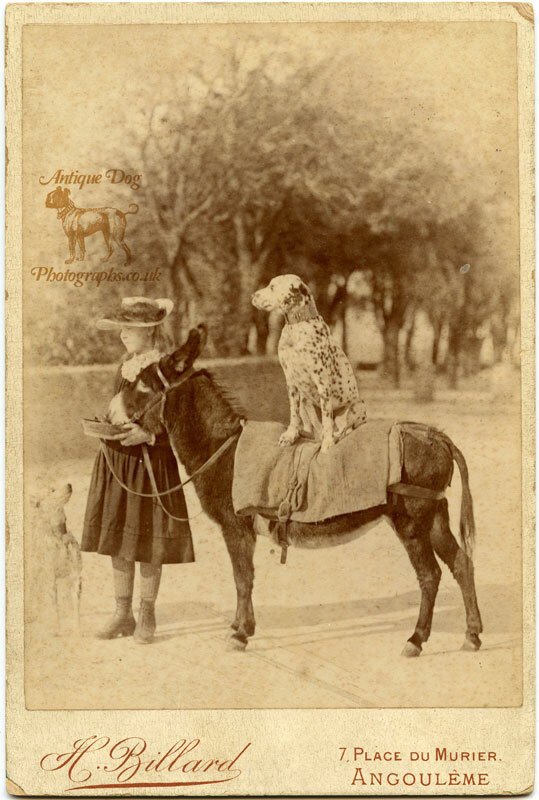 Here we have a Dalmatian sitting patiently on the back of a Donkey in the middle of a street in Angoulême, southwestern France. 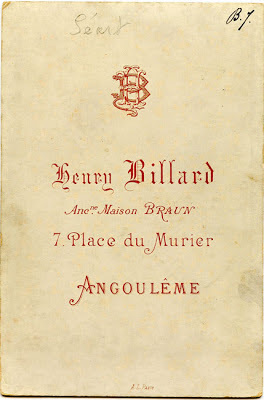 The Dalmatian wears a deep studded leather collar which reminds me of the type of collar which is now fashionable for Lurchers and Greyhounds. 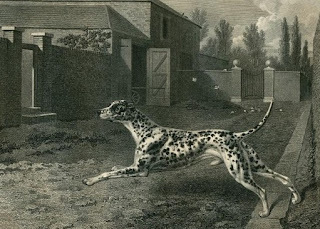 The Dalmatian's ears are closely cropped, this practice was popular at the start of the 19th century. 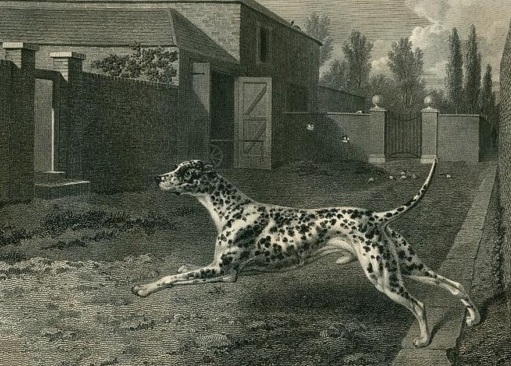 Ear Cropping was banned in England in 1899, but not in France until 1st of January 2010 so it is not surprising to find this photographic example of a cropped eared french Dalmatian. You can see how the photographer Henry Billard kept his subjects entertained during the photograph's exposure; the little girl holds a tray of food for the Donkey, which also keeps a just visible second Dalmatian standing still. [Originally] the Dalmatian was known as the Coach Dog, a name appropriately derived from his fondness for following a carriage, for living in and about the stable, and for accompanying his master's horses at exercise. 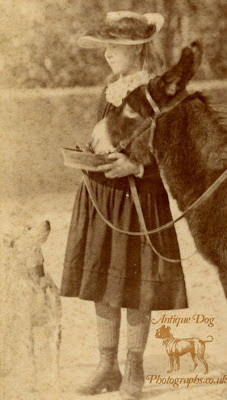 He appears almost to prefer equine to human companionship, and he is as fond of being among horses as the Collie is of being in the midst of sheep. 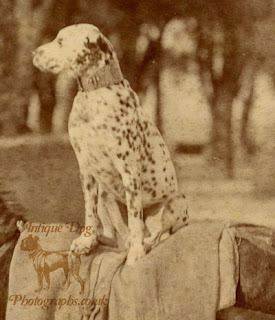 It is no wonder the Dalmatian is so at ease with the Donkey. 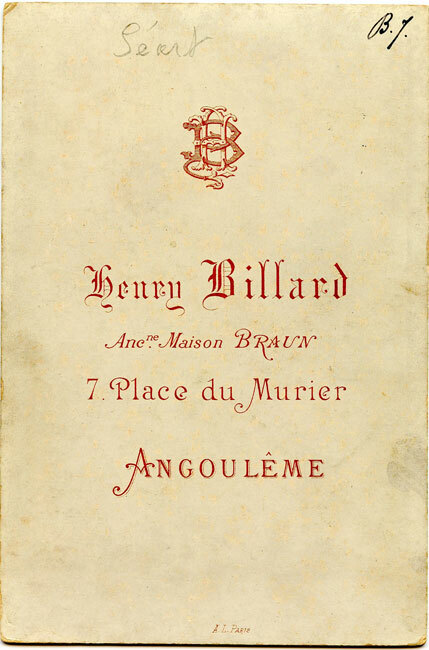 I have found some other examples of photographs taken by Henry Billard in 1893 of the market at Angoulême which also feature Donkeys, you can see them here. Back in the days of Windows XP, there was a PowerToy that resized images. This www.lightroomextras.com allows Windows 7 users to fix the image size with a couple of clicks.